Ravenhall Prison is a medium-security men’s prison in Melbourne’s west which accommodates 1000 prisoners. Built as a public private partnership by the GEO Consortium, the prison facility was officially opened on 12th October 2017. It began receiving prisoners on 13th November 2017. Project manager Firas Zain from Engie oversaw Ravenhall’s audiovisual design and installation. Prison construction is meticulously planned well in advance, with little margin for error. This meant Engie had to ensure the AV system design was thoroughly conceptualised and thought through even before the first slab of concrete was poured. Of the 37 buildings within Ravenhall, Engie was contracted to install AV components in 34 of them. The scale of the roll-out necessitated careful preplanning and extremely high quality control; with this many contractors working on a site, one disorganised contributor can slow down the entire project. 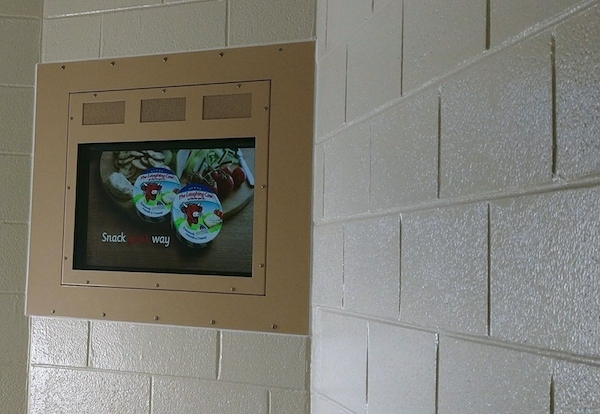 The extreme security protocols within a prison filter down to things like encrypted video signals, custom projector cages, and prisoner-proof display enclosures for in-cell TVs. 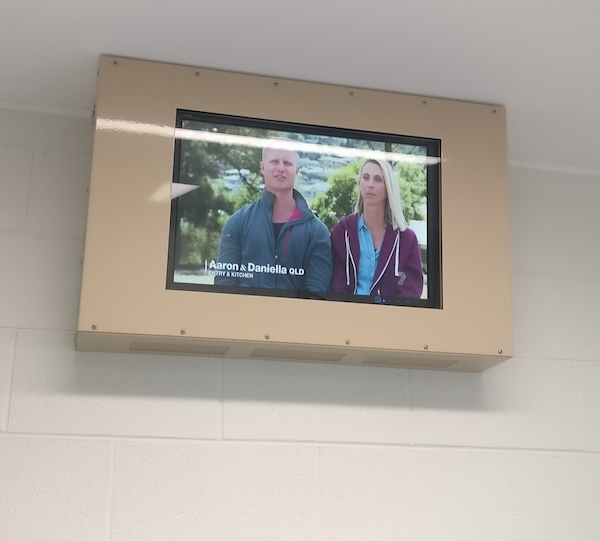 Australian metal fabrication specialist Gilkon played an important role supplying security shrouds (enclosures) for all IPTV displays in prison cells, as well as the larger displays in waiting rooms and guest areas. 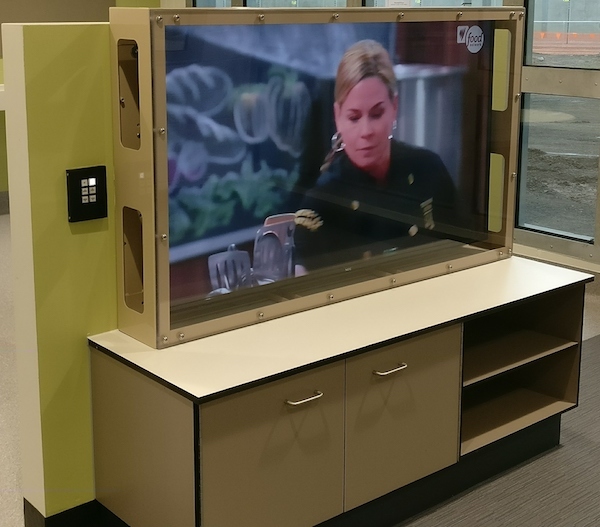 A Gilkon display enclosure for prison TVs can’t be bought off the shelf. As with many other aspects of the Ravenhall project, the display enclosures were designed from scratch to meet specific pre-defined security and ISM standards. Creating custom steel fabrications is Gilkon’s forte, and its in-house knowledge lent thecompany a place at the table during the design process. Once designed, all shrouds underwent review by a number of personnel involved in the project. The prison cell displays are 24-inch NEC models, whereas larger 58-inch displays are found in the waiting room and common areas. Every screen in the premises is protected with a custom Gilkon shroud, even when installed in staff areas.